My daughter and son were recently in my car when a woman ran a red light and t-boned them, sending them spinning into a 3rd car and careening through a construction fence. My car is a total loss, but not a scratch on my children. Interestingly enough, just a couple of days prior, I was getting into my vehicle to head for the gym when I threw out a big prayer to St. Christopher (patron saint of travelers) and St. Michael the Archangel (protector of earth). I asked the car be safe and all inside the car be safe and protected by the saints and angels. As I was driving to the gym, I was actually thinking, “Well that was weird. I wonder why I felt compelled to do that today?” Two days later, I figured out why. 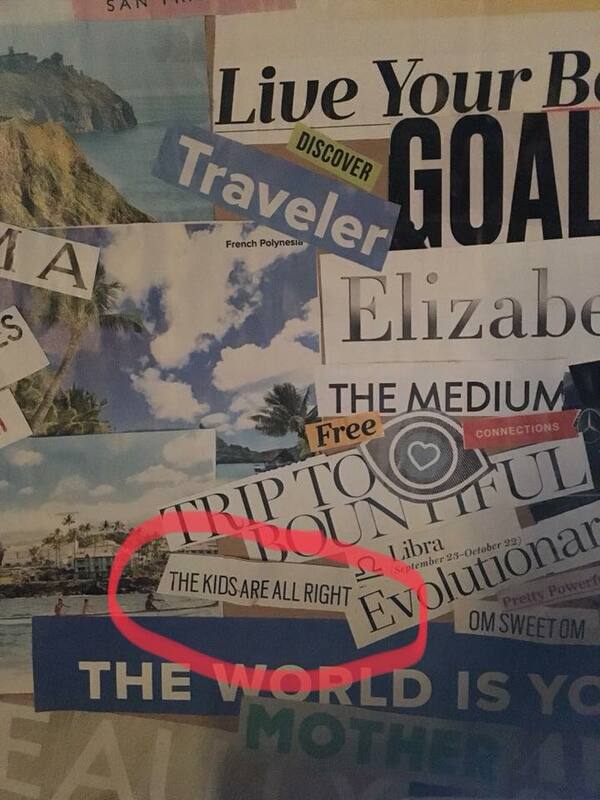 The night of the accident (June 4, 2018), I was sitting here at my computer, looking at my vision board over my monitor, and this caught my eye “The kids are all right”. I create a new vision board every year on January 1st. I remember my kids teasing me for adding that to my board, and I honestly don’t know why I did. My “kids” are all actually adults in their mid-to-late 20’s (but always my kids), and sure enough, they’re all right. good kids, kids are all right, manifest, motherhood, prayers, precognition, psychic, safe, vision, vision 2018, vision board. Bookmark.